It’s crazy how fast this NFL season has gone, but yet here we are with only 1 more game to play: The Super Bowl. There really isn’t much to do in terms of fantasy or daily plays, so what can you do to make the game more interesting? Well, if you are looking for something fun to do (because a lot of us are sick of the Patriots being in the Super Bowl…sorry Pats fans) then look no further. The Super Bowl has had something called props for years. What are props? Well, they are basically odds that an event either happens or doesn’t happen during a game. Normally these props are events that have no effect on the outcome of the game. Things such as “what will the coin toss be?” or “who will win the MVP?” are examples of what you may see. So now that you might understand a bit better, let’s look at some of the more interesting props in this year’s Super Bowl. These props come from Sports Illustrated and Oddsshark if you are interested in reading more about them. For those new to props, the + number is more unlikely, and the – number is the one that is favored to happen. So let’s first start with what most people are familiar with. As of now the Patriots are favored to win by 2 points, so Vegas thinks this will be a close game. An over/under of 58 means we could be in for an exciting game with plenty of scoring to be had. A close, high scoring game might actually make even the slightest of NFL fans excited. Right now, Atlanta forecast calls for mid to upper 40s and potential rain. I’m sure if any rain is coming they will close the roof, but it’ll be interesting to see what they do if the temperature is in the 40s. We still are 2 weeks away so a lot can change, and you’ll probably see the odds tilt one way or another. I like this prop because you’ll know right away whether you were right or wrong. First Touchdown For The Rams? 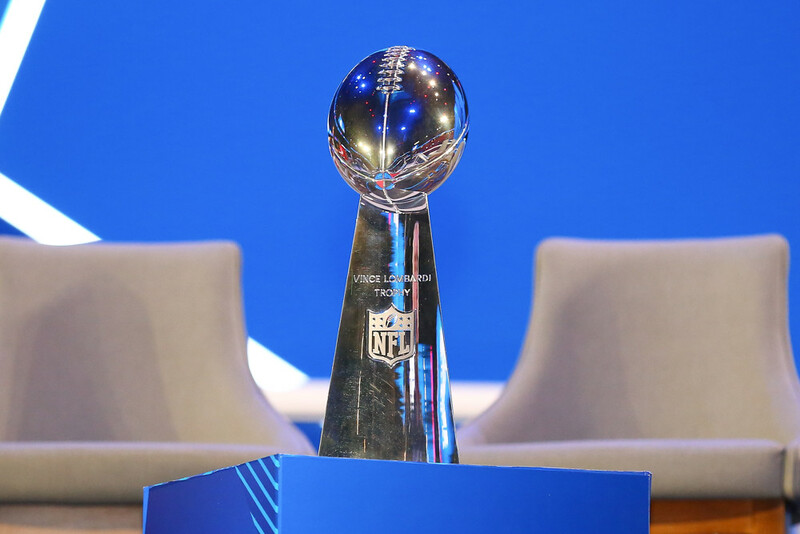 There is obviously another prop just like this for the Patriots, but this one caught my eye since there is a bit of confusion on what is going on with star RB Todd Gurley. Looks like for now both Gurley and Anderson have the same odds to score the first touchdown, and frankly I wouldn’t be surprised if Anderson got a goal line carry first based on the previous week. It’s really not out of this world to think that QB Jared Goff could run one in (he has before) or a long bomb pass to Cooks could be the first score. With the 58 point over/under, you better believe that these QBs will be throwing. Both the Rams and the Patriots had top defenses against the run, but only middling defenses against the pass. In the 2018 season, Jared Goff threw for over 400 yards only twice (although he eclipsed 350 yards 5 times) and Tom Brady never threw for over 400 yards (eclipsed 350 only 1 time). But it’s the Super Bowl, where anything can happen. Tom Brady did throw for 505 yards in Super Bowl 52 last year. This one might be worth taking a shot on. Sony Michel had a solid rookie year this year, rushing for 931 yards and 6 touchdowns. He has rushed for over 100 yards in consecutive playoff games already and scored 5 total touchdowns. That being said, the Patriots are known to run multiple RBs including James White (who caught 14 passes for 110 yards and 1 touchdown in Super Bowl 51) and Rex Burkhead (who rushed 12 times and caught 4 passes last week against the Chiefs). I believe Michel could easily hit 77.5 yards, but I’d also not be surprised if Bill Belichick has some tricks up his sleeve with White/Burkhead. This is probably my favorite one because you just have no idea what is in that container until the very end. Obviously right now the Yellow/Green/Orange options are favored. I can’t say I’ve ever seen water dumped on the coach but you never know. If you choose right however, you will be almost as happy as the drenched coach. Which commercial will appear first? There are a ton of these props listed, but this one is probably my favorite because I love both snacks. Plus Doritos has consistently had some of the best Super Bowl commercials in recent memory. And let’s be honest, a lot of people do watch the Super Bowl for the commercials.